As you may have heard Council took one vote (3-2) to move forward, a contract has not yet been signed. Please speak out and stand up for our librarians, patrons, and library programs. There is still time. Please keep signing and sharing this petition. We the undersigned,petition members of Escondido City Council to cease all action in pursuing the privatization of our Public Library. We further contend that it is the responsibility of government, not a private for profit business to provide, protect and preserve public libraries. Public library's collections and services provided at taxpayer’s expense, have always been and should remain a non-profit government responsibility. The library budget represents 3% of the city’s entire general fund budget. 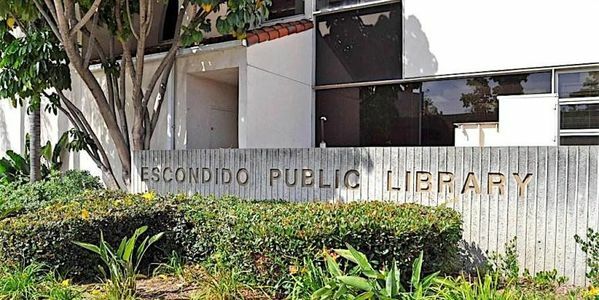 The Escondido Public Library is one of the most used community assets and publicly employed librarians and staff have a direct interface with the public in providing outstanding patron service. Outsourcing the library to a for profit company will provide less benefits to library staff and likely will result in loss or reduction of our current staff and/or lower wages to library employees. Public records show that the citizens of Jackson County Oregon in southern Oregon serving the cities of Ashland and Medford want to take back local control of their library and they do not wish to renew their contract with LSS. If Library Systems and Services was so effective why wouldn’t Jackson County prefer to renew their contract? Outsourcing the library will seriously diminish the reputation of our fine city of Escondido. Additionally much needed public donations, monetary endowments, volunteering and fund-raising by the Friends of the library will be negatively impacted. Let’s not cede public control of our fine library to the for-profit LSS company and regret its demise. Thank you all supporters. City council seems determined to forge ahead with outsourcing and plan their final vote for a contract with LSS this Wed Oct 18 2017 at 4:00-10 PM City Hall 201 N Broadway Escondido. Please attend and oppose the outsourcing. There will be strong opposition there. I do understand there's a budget pension crisis looming, but please entreat the council to look carefully at the entire city operation and pair down universally without changing the operation of the library. Further action you can take CONTACT Mayor Sam Abed, Ed Gallo, and John Masson. Mayor's Office: 760-839-4610 , City Council's Office: 760-839-4638. Email all: https://www.escondido.org/city-council-contact-us.aspx Send a letter to 201 North Broadway, Escondido, CA 92025. Ask them to Stop the LS&S contract process. Solicit proposals from the current library department and county through a public process. Empanel a Budget Committee to address the pension crisis and paydown of pension liability. After a rally outside city hall all were ignored by Mayor Sam Abed, Ed Gallo, John Masson who voted to sell out our library. A shocking display of community and political deafness, all three ignored overwhelming community objections, voted for outsourcing to Library Systems and Services (LS&S). Library volunteers, the Escondido Library Foundation, the Board of Library Trustees, and a representative of the American Library Association spoke against outsourcing as well.